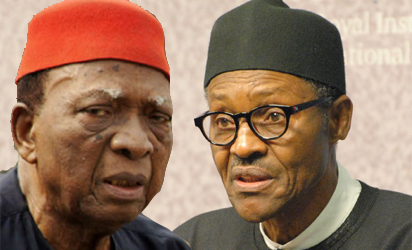 In the aftermath of the divisions in the country caused by President Buhari’s Northernisation/ Islamisation Agenda, as manifested in his lopsided strategic appointments that unfairly favour the North as against the South, and the complete exclusion of the South-East from them, which gave rise to agitations for independent Republic of Biafra, Oduduwa Republic and Niger Delta Republic, coupled with the Quit Notice given by the Arewa Youths Coalition to Ndigbo to leave the North by October 1, 2017 – in the wake of all this came a spate of hate speeches by various individuals and groups against each other across the country. Hate speeches, though perhaps not unknown to us in the past, never became such a worrisome feature of life in the country as they became in 2017, occupying a significant part of the political space. For those of us who experienced life in the glorious days of the past when Nigerians regarded themselves and behaved towards one another as people sharing a common aspiration to become one nation held together by the binding tie of a shared vision and destiny, the eruption of a spate of hate speeches in 2017 is a phenomenon that contradicts all our aspirations, because of the nature of a hate speech, which does not seem to be fully understood and appreciated. A hate speech is not a manifestation of ordinary dislike of another person; it connotes, by the dictionary definition of the word hate, “extreme or intense” loathing, such as excludes or impedes mutual tolerance, mutual accommodation, togetherness or co-existence. Making derogatory, derisive or insulting remarks about another person is not a hate speech. Nor does belonging to a political party in opposition to someone’s party connote a relationship characterized by hate; it connotes simply a relationship characterized, not by enmity or hate, but by divergent interests. The phenomenon of hate speeches, as defined above, poses a grave danger to the peace and unity of the country; it strikes at our very existence as a country, and a leader, whoever he may be, who engineers or stirs up its embers is an enemy of the nation and should be severely denounced for it. In a commendable show of its deep abhorrence of hate speeches, and its firm resolve to come to grips with them, the Federal Government has expanded the scope of a hate speech beyond its ordinary, natural meaning, as noted above. It defines a hate speech as “an act deliberately done with malice”, and calculated, among other things, to “intimidate a population. The intimidation of a population by word, speech, is an act of terrorism…… Hate speech is a specie of terrorism. As it is defined popularly, it is the unlawful use of violence or intimidation against individuals or groups, especially for political aims.” …….and “all the consequences will follow”, i.e. consequences prescribed by the Terrorism Act 2011. That is the Acting President, Professor Osinbajo speaking, as reported in the Vanguard of 18 August, 2017. There should be no quarrel about the expanded scope thereby given to a hate speech, except for the problem of drawing a clear, precise line of distinction between the ordinary natural meaning of a hate speech and the expanded meaning given to it by the Federal Government. Hate is a state of mind, expressing a state of feeling of the heart, and manifesting extreme or intense aversion or loathing for a person or a population group, especially a group identified by ethnicity or religious affiliation, whether or not manifested in intimidation or violence. Malice is also no doubt a state of mind as well as a state of feeling of the heart, but it is not necessarily nor is it usually an expression or emanation of extreme or intense aversion or loathing, such as excludes or impedes mutual tolerance, mutual accommodation, togetherness or co-existence; it connotes essentially ill-will or an evil intent to inflict injury or suffering on another; the evil intent or ill-will is usually a matter of feeling emanating from the heart on the part of an individual, unlike aversion or loathing which may be felt by a whole community against another. The former is an essential ingredient of crime which must be proved, but the latter is not. Malice is a legal term of art. The public tends to think that the spate of hate speeches that raged in the country in 2017 was a spontaneous eruption. That is not the case. The hate speeches and the Quit Notice were two composites, inseparable events, the one following after the other as a complementary event aimed at the same purpose, namely to get rid of Igbos from the North. Speaking on this development in the same issue of the Vanguard, former President Goodluck Jonathan also warned that “hate song against Igbos must not be taken lightly,” recalling that it was “similar hate song that sparked genocide in Rwanda, the pangs of which were still being felt to date”. He “urged the security agencies to halt the spread of the hate song.” Similar denouncements and admonitions had been made by other leaders in the country. The crisis has been doused but is still not over completely. The quit notice must rank as one of the most amazing events in the history of Nigeria. It is in effect an expulsion or eviction order. The land in the North the Igbos were ordered to leave belongs beneficially to many different ethnic groups and their members – Hausas, Fulanis, Kanuris, Jukuns, Nupes, Igalas, Tivs and many others, who had not mandated the Arewa Youths Coalition to act or represent them for this purpose. In a move designed perhaps to show up the Arewa Youths’ Quit Notice as an expensive act of rascality, the Niger Delta Avengers, a dreaded armed militant group, was prompted to issue a similar Quit Notice to northerners to leave the South within three months. This unexpected twist of events must have left them (the Arewa Youths) confused and uncertain whether or not to go ahead with their planned expulsion of the Ibos from the North. Eventually, they decided on 25 August 2017 to suspend the Quit Notice. It is the height of irresponsibility, recklessness and lawlessness that a group of youths, confined in their operations to one section of the country, the North, should have the audacity and mendacity to give to an entire ethnic nationality composing a large proportion of the population of the country notice to leave the North comprising 75 percent of the country’s territorial area. It is all the more reckless and mendacious that the notice was given without the consent and approval of the traditional authorities – the communities, villages, families and their members who are the beneficial owners of the land in the North, nor with the consent and approval of the State Governors in whom the title to the land is formally vested on behalf of the beneficial owners under the Land Use Act 1978. It is simply beyond understanding and imagination that such audacity and mendacity should happen in our country. It suggests that Nigeria ceased on 6 June 2017 to be a country governed by law and by rationality – by Senator Ben Murray Bruce’s common sense. The whole thing makes absolutely no sense to me. What the Arewa Youths, in their youthful but reckless impetuosity, probably do not realize is that their action has, to all intents and purposes, killed the spirit animating the entity known as Nigeria. And yet the country still has a President and Commander-in-Chief in office! But the quit notice is, not just senseless, it is also singularly brazen both because such a thing has never happened in the country before now and because I have never imagined it ever happening in a country we cherished so much – not in my lifetime, anyway. What really is happening to our country under President Buhari? Nigeria being a multi-ethnic and multi-religious country, inter-ethnic conflicts may be said to be in-built in its social structure, and there has been a series of them, some marked by killings, even killings of genocidal proportions. But an order by a coalition of youth groups based in just one section of the country expelling an ethnic nationality from that Region of the country is something utterly inconceivable to me, something beyond my imagination. The quit order has a significance and implication perhaps not realized by the Youth Organisation that issued it; as earlier stated, it spells death for the spirit animating the entity known as Nigeria. That is the task facing us as Nigerians – to revive that spirit. The quit notice issued on 6 June 2017 cannot have been provoked, as claimed, by the agitation for the revival of the moribund independent state of Biafra by the Movement for the Actualisation of the Sovereign State of Biafra (MASOB) and its off-shoot, the Indigenous People of Biafra (IPOB). The two organizations have been in existence since September 1999 and June 2009 respectively, i.e. a continuous period of 18 and 8 years respectively. If the agitation for the revival of Biafra was the cause of the quit notice, why did the Arewa Youths wait until 6 June 2017 to issue it? Why was it only during the Administration of President Buhari that they issued the notice, and not under the Administrations of Jonathan, Yar’Adua or Obasanjo? They were emboldened and encouraged to issue it during Buhari’s Administration because they know that the Northernisation/Islamization Agenda formed a central plank of the Agenda of his Government and that they will be given all the protection and support they need, as indeed they are getting. In fairness to him, the Acting President, Prof Osinbajo, lamenting the increasing spate of hate speeches, admonished those behind them “not to misuse their democratic right of freedom of speech to endanger the entire democratic enterprise,” and that failure to draw “this line between freedom that conduces to healthy democracy and that which threatens and endangers the entire democratic enterprise……..will be tragic”. It is also to his credit that he moved around the country talking to people as individuals and groups in an effort to assuage tempers and feelings enraged by the state of things in the country, which went some way in dousing summering tension. All these ominous events threatening the corporate existence of the country occurred during the 103 days absence of President Buhari in London on medical vacation. On 21 August 2017 after his return to the country from London, he made a nationwide broadcast which, to the disappointment of Nigerians, said not a word reprimanding, castigating or condemning the Arewa Youths, and gave not a hint of any plan to invoke the sanctions of the Terrorism Act 2011 against them. It said, merely re-echoing section 15(3) of the Constitution, that “every Nigerian has the right to live and pursue his business anywhere in Nigeria without let or hindrance”. The identity of the authors of the quit notice and their backers is of course well-known. A group photograph of them with the Borno State Governor, Kashim Shettima, taken during a world press conference on the suspension of the quit notice, appeared on the front page of theVanguard on 25 August 2017. When he (President Buhari) spoke again on 23 December 2017, he dwelt instead on his pet strategy for keeping himself in office – the blame game. One would have thought that the country’s survival in the face of the threat to its continued corporate existence created by the quit notice and the spate of hate speeches by individuals and groups across the nation is a near-miraculous event for which we should all be thankful to God. For the President, however, what ranks as “an act of God” is the country’s survival from the rot left behind by the previous Administration. “Some of the things I saw here”, he said, “were unbelievable. I still shudder and wonder how a country can survive under such abuses. It is only by an act of God that we survived”. : see the Vanguard 23 December 2017. This is an incredibly egoistic utterance to come from the President of a country that has just gone through a Quit Notice and a spate of hate speeches that threatened to tear it apart. Perhaps, the admonition of Professor Wole Soyinka that he should “fix the problem, and stop the blame game” (Vanguard, January 2018) is the most that can be said concerning this particular utterance. Very well said, indeed! Enough of all the messianic pretensions; having failed, after nearly three years in office, to fix the manifold abuses in the administration of government in the country, the President should stop the messianic pretensions. Commendable as the effort of the Acting President was, it fell short of what the situation created by the Quit Notice called for and requires, i.e. the invocation of the sanctions of the law against the Arewa Youths and their backers. What, then, is the status in law of the Quit Notice? First, the quit notice is unlawful, because the Arewa Youths have no power, authority or right to issue it; it was issued without the consent or approval of the beneficial owners of the land of Northern Nigeria and without the consent or approval of the State Governors in whom the land is formally vested in trust for the beneficial owners under the Land Use Act 1978. Third, the quit order is unconstitutional not only because it violates or contravenes specific provisions of the Constitution but, more importantly, because it strikes at very basis of the charter of our togetherness “as one indivisible and indissoluble sovereign Nation”, to be known as Nigeria which “shall be a Federation consisting of States and a Federal Capital Territory”: see the preamble and section 2(1) & (2). A federation is a union of different peoples, and the Constitution declares the “consolidation of the Unity of our people” as one of its cardinal purposes. It is this union “solemnly” declared and established by the Constitution that the Arewa Youths seek to subvert by its order expelling from the North the entire people, Ndigbo, drawn from five of the States that constitute it. As an act subversive of the Union established by the Constitution, and clothed with the attributes of indivisibility, indissolubility, and unity, the expulsion order is treason against the Constitution, comparable to a declaration of secession, to be distinguished from a mere agitation for it or for the revival of Biafra. Fourth, the quit notice is an act of terrorism which, as defined by the Acting President, citing the Terrorism Act 2011, is “an act done with malice to intimidate a population,” and create in them the fear of violent attacks leading to killings and other kinds of injury. And according to the Acting President, “all the consequences” attaching to an act of terrorism under the Terrorism Act “will follow.” The notice to quit was an act of intimidation that threatened the lives and properties of Ndigbo in the North. The threat was acknowledged by the statement issued on the matter in the Vanguard of 18 August, 2017, by the Defence Headquarters (DHQ) in which it said that “in response to a series of inquiries from some members of the general public following threats to the country’s existence”, it wished to assure Nigerians not to “panic over their security wherever they reside in the country”, and that “it is on top of the nation’s security situation”. So the threat was real. The reality of the threat is undeniably underscored by the words of the recorded hate songs broadcast in Hausa and English from many stations in the North. But the consequences under the Terrorism Act 2011 did not follow, as announced by the Acting President. Why was the Arewa Youths Consultative Forum not declared a Terrorist Organisation and proscribed, as was done to the Indigenous People of Biafra (IPOB) on 15 September 2017 for agitating for the revival of Biafra? Is an agitation for something, even something illegal, but unbacked by armed force or violence, not less grievous than the act of terrorism, indeed treason against the Constitution, involved in the threatened expulsion of Ndigbo from the North? Is the failure or the unwillingness of the Buhari Federal Government to proscribe the Arewa Youths and declare it a terrorist organisation, as it did the IPOB for a less grievous act, not a manifest double standard or an unfairly discriminatory treatment of citizens? Is such unfairly discriminatory treatment tolerable in Nigeria of our dreams – a country where Justice and Equity is supposed to reign (see preamble), where “the social order is founded on the principles of Equality and Justice” (section 17(1) Constitution, and where citizens have the right to equal protection and treatment by law without unfair discrimination (section 42)? To cap it all, soldiers of the Nigerian Army, armed to the teeth, were deployed to Umuahia, Aba and other places in Abia State to terrorize and brutalize the people in a bloody show of force mockingly named operation Python Dance and Operation Crocodile Smile. The soldiers had their dance and smile alright – at the expense of Ndigbo!! This is all happening in our one Nigeria. The manifold problems tearing the country apart under President Buhari – insecurity, disagreements over re-structuring, the quit notice given to Ndigbo by the Arewa Youths, the hate speeches accompanying it, the lop-sided strategic appointments, etc – all revolve around one thing – President Buhari’s Northernisation/Islamisation Agenda, his unwillingness to run an all-inclusive government to which all Nigerians can feel they belong and in which they have an equal stake; the cabinet is largely a screen. Even the problem of the economy, which the Administration puts at the forefront, pales to secondary importance. The injurious ways in which the Agenda has impacted on our problems are evident. Only the most compromising instances need be mentioned here. First, the President’s undisguised, unabashed favouritism and solicitude for a united Northern Nigeria arouses in him and his fellow northerners a renewed sense of solidarity in defence of whatever they perceive, rightly or wrongly, to be its interest, and inclines them to adopt antagonistic, even confrontational, stance towards southerners in discussions of national affairs, thereby disabling them from approaching national issues in the spirit of what the interest of the nation as a whole demands, even issues such as re-structuring, Fulani herdsmen insurgency, and other national issues. Second, his bias for the Fulani herdsmen and their masters, the Cattle Breeders Association (Miyetti Allah) is the aspect of his lack of impartiality that most compromises his position as leader of the nation. This is manifested in his inability or unwillingness to take firm, decisive actions against the herdsmen’s killings in Benue, Taraba and Zamfara States in particular, and against Miyetti Allah’s blunt, anarchic refusal to abide and be bound by the Anti-Open Grazing Law of those States, which is the governing law there until declared unconstitutional, null and void by the courts. The President should not condone anarchy by anyone, the Miyetti Allah people not exempted. Gratifyingly, the herdsmen are said to be now “willing to abide by the Benue State anti-open grazing law”, according to a report in The Guardian of 14 February, 2018 by Governor Dave Umahi of Ebonyi State, Chairman of the Mediation Committee on the herdsmen/farmers clashes, but does that represent the position of the Cattle Breeders Association (the Miyetti Allah)? Third, the President’s favouritism for the North in pursuance of his Northernisation Agenda is again betrayed in a markedly unabashed manner by his reinstatement of the Director-General of the National Insurance Health Scheme (NIHS), Professor Usman Yusuf, a northerner, suspended for alleged financial impropriety by the Minister of Health, Professor Isaac Adewole whose ministry has supervisory authority over the scheme. Work at the workplace of the NIHS has been paralysed by workers’ industrial action caused by controversy over the President’s action. The reinstatement betrays favouritism for the DG in two main ways. The DG’s statement that he is answerable only to the President as the authority that appointed him, but not to the minister, is an unpardonable act of insubordination, deserving to be severely reprimanded, not condoned. The executive power of the federal government is vested in the President and may be exercised by him either directly or by him through ministers and other public officers authorized by him; section 5(1), Constitution. A minister exercising any executive function assigned to him by the President does so as his agent, and his (the minister’s) “official acts, promulgated in the regular course of business, are presumptively his acts” – so held by the U.S. Supreme Court in Rankle v. United States 122 U.S. 543 at p. 557 (1886). So the suspension of the DG by the minister is presumptively the act of the President. And whilst the President has the power to override the decision or act of the minister, the maintenance of the minister’s integrity, respect and usefulness demand that he should not do so in a haste but only after considering all the facts and after consultation with the minister. Since the financial impropriety alleged against the DG is under investigation by the EFCC, his reinstatement should not have been made before the completion of the EFCC investigation. Apart from the D.G’s statement being an act of insubordination, it seriously undermines the principle of the unity of the executive branch on which the concept of the single executive of the presidential system is built, and on which its effectiveness and credibility largely depends. From the lowest cadre of officials to the middle cadre, to the directors, to the director-general/permanent secretary, to the minister and finally to the President as chief executive, the concept underlying the system is that of the hierarchy of authority and command. The President should not degrade the minister as an act of favouritism for the director-general, just because of his commitment to his Northernisation Agenda. The President’s pursuit of the Agenda has smothered our dream of Nigeria as one nation. His constant talk about the unity of the country not being negotiable no longer inspires belief; the general belief among many people is that he talks about the unity of Nigeria only in terms of an Islamised country ruled by a northern Moslem. That is the mission he has set out to pursue and to try to accomplish. How could his talk about one Nigeria be squared with the fact that theNational Security Council, charged with the crucial function of superintending over our internal security, has been turned into a sectional security agency composed exclusively of northern members (with one exception)? (d) carry out such other functions as may be conferred upon it by an Act of the National Assembly. How can the President’s lop-sided strategic appointments, especially appointments in the security agencies, be squared with the federal character provisions of the Constitution? How can they be justified in the face of those provisions? The administration of government by the President in defiance or violation of relevant provisions of the Constitution is a gross misconduct under section 143 of the Constitution. Interestingly, the person, Mohammed Bello Tukur, a northerner, the President appointed Secretary of the Federal Character Commission is the Legal Adviser of the Cattle Breeders Association, the Miyetti Allah. And yet whenever the issue of this gross misconduct is raised we are fobbed off with the deceitful story of 175 appointments that are irrelevant to the issue of strategic appointments; also irrelevant is the appointment of at least one minister from each State which is a specific command of the Constitution entirely outside his discretion. And so the deceit continues. Deceit is, of course, a strategy of rule. Dr. Joseph Goebbel, Hitler’s Minister of Information, has perfected it into an art, and our own affable-looking Lie Mohammed is trying to out-Goebble Goebble in 21stcentury Nigeria. It is possible to run a government based on false manipulation of facts, but you cannot build an enduring nation upon a foundation of deceit, for, when the deceit is exposed, the foundation will collapse, taking with it the entire edifice. The truth of this is inescapable. I think the time has come for President Buhari to give up this Noarthernisation/Islamisation Agenda; institute an all-inclusive government embracing all Nigerians based on equity, justice and equal treatment of all citizens without unfair discrimination; re-structure the Federation before 2019 general election, including its security architecture; bring back peace to our once peaceful country; mobilize the Nation and launch it upon a new beginning, a re-birth. Only this will make him a genuine Deliverer. It is amazing that President Buhari does not appear to know what all well-meaning Nigerians, including the Catholic Bishops Conference, as well as Google, an international agency, know – that his Administration and the Nigerian state under him have failed. Or is this a case of self-deceit, which is the worst type of deceit imaginable?